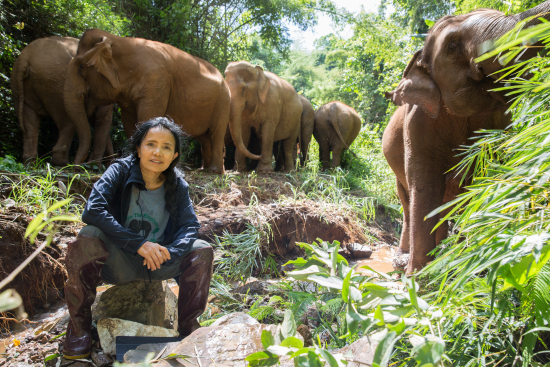 New event seeks to raise awareness of growing global interest in ecotourism and at the same time, create opportunities that benefit elephants, the environment and local communities. Chiang Mai, Thailand – December 4, 2018 – A new ecotourism event, Elephant Travel Mart 2018, jointly hosted by ‘Save Elephant Foundation’ and ‘Asian Elephant Projects’, aims to bring together ethical elephant tour operators and tour agencies in Chiang Mai on December 14th. Ecotourism values promoting modes of travel with minimal impact on the environment are becoming more widespread, particularly among young people. A growing concern for the environment and for the welfare of animals is changing the landscape of tourism across many tourist destinations throughout the world - a positive change that presents significant opportunities. “The success of this event holds the potential to positively impact the welfare of elephants in Thailand, protect and improve the environment, and provide support to local communities,” concludes Ms. Chailert.